Be yourself. That is something you can do better than any one else. 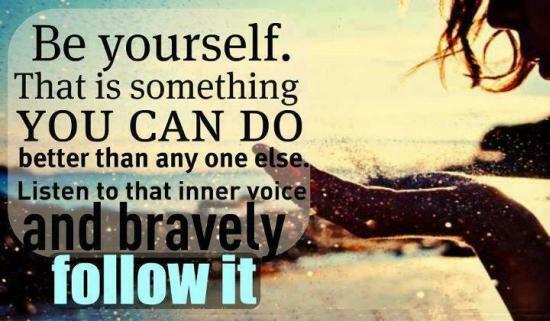 Listen to that inner voice and bravely follow it.